Commit yourself to a summer of doing good with plenty of adventure along the way in South Africa. Make a real world difference in a local village, explore a new culture and view all manner of wildlife in this beautiful land. At the heart of Stand UP South Africa are two volunteering projects. The first project is set in a rural community near the Kruger National Park, one of Africa’s largest game reserves. You’ll help improve the infrastructure and the gardens at a school while helping students learn about ecology and the importance of the environment, subjects vital to their livelihood. You’ll be teaching and inspiring youth to appreciate nature in all its amazing beauty that South Africa offers. Next stop is a township in Cape Town. Children there live in poor housing and face numerous challenges. You’ll be helping to support these children through mentorship and direct intervention, including helping to build homes, sports development, and health and nutrition workshops. 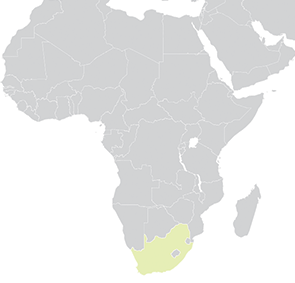 South Africa is home to a thriving Jewish community with a fascinating history and rich traditions. 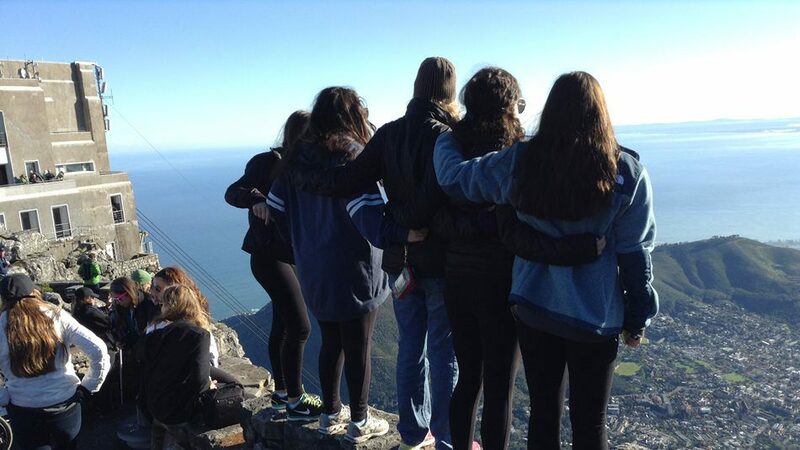 As part of our experience, you’ll spend a memorable Shabbat with local Jewish teens from Johannesburg. It’s a great opportunity to make meaningful connections on the other side of the world! Explore a whole new world of natural beauty and wildlife in South Africa. Go on a game drive and river safari where you’ll view the “Big 5” (lions, elephants, buffaloes, rhinos and a leopard or two, if you’re lucky) and so many more animals in their natural habitat. You may even wake up with monkeys on your porch! You’ll look out from the top of Table Mountain National Park, visit the Cape of Good Hope, where you may see ostrich and baboons. Learn firsthand about South Africa’s history of Apartheid and the non-violence movement that rose up to overturn it. At Robben Island, you’ll tour the infamous prison where Nelson Mandela and many others were incarcerated on account of their civil rights protests. You’ll also discover how South Africa’s Truth & Reconciliation Commission ushered in a new era of equal rights, forgiveness and healing. You’ll meet with an ex-prisoner to hear their personal story. 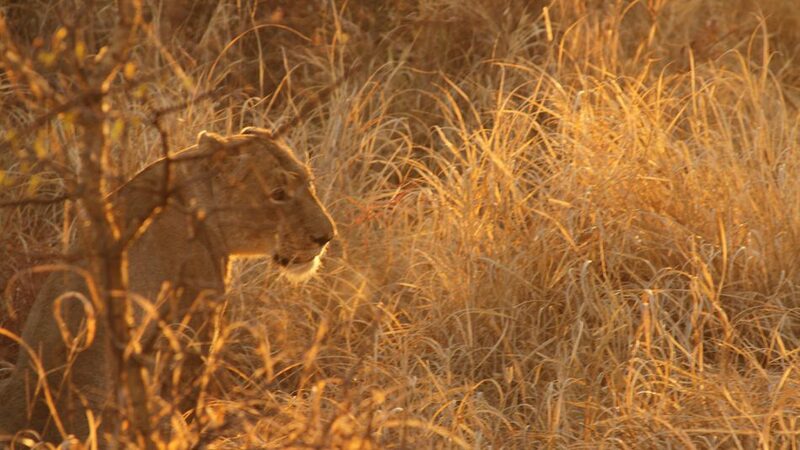 Go on a safari in the Kruger National Park region; confront lions, giraffes, elephants, zebras and more! 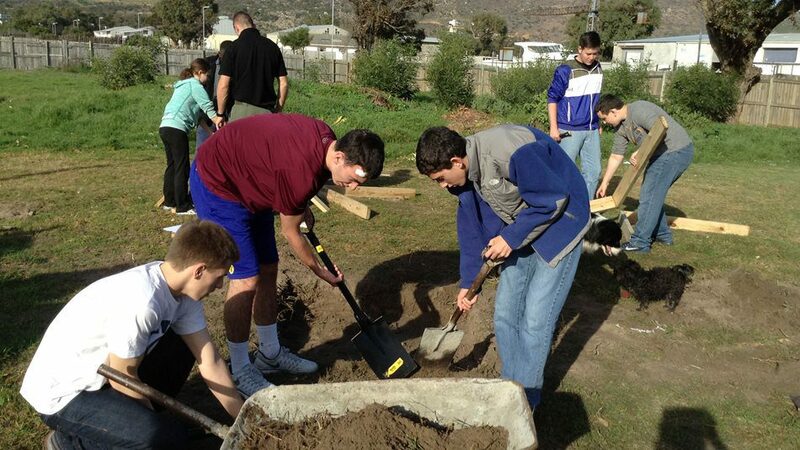 Meaningful community service projects focused on environmental education, sports development, and mentorship. 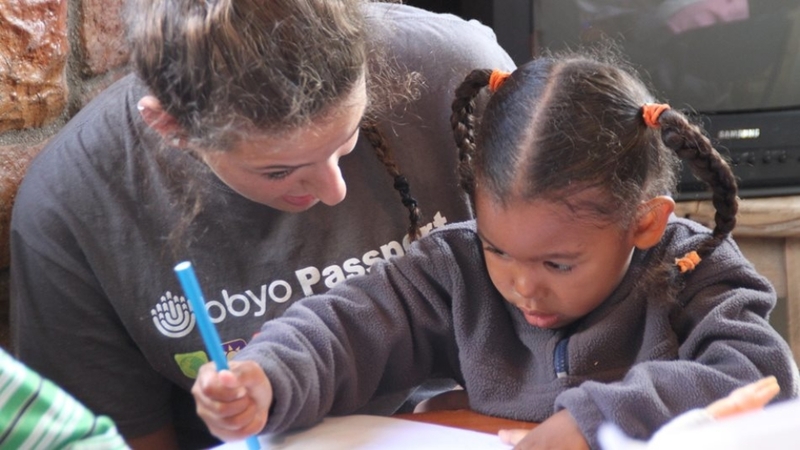 BBYO Passport’s Stand UP South Africa is organized in partnership with Global Village Connect Travel. 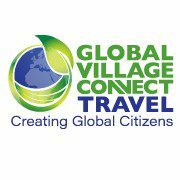 Global Village Connect Travel connects people, schools and communities by developing practical solutions that improve education, economic opportunity and health through sustainable projects. 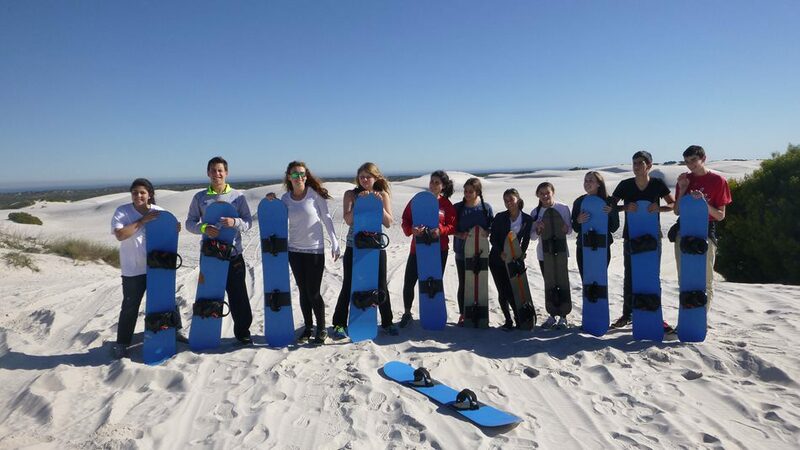 They help provide immersive experiences for the teens on Stand UP South Africa. Day #1 | Wednesday | Leave for South Africa! Spend the night in the sky en route to South Africa! Reflect and relax in the evenings with South African cultural activities – including elephant interaction, a game drive and a cultural dance show. Spend the day touring in the famous Soweto township. Visit Constitutional Hill before heading to Nelson Mandela bridge and the “Top of Africa” – the tallest building in Africa! Enjoy a relaxed afternoon – walk around the Victoria & Alfred Waterfront district or visit the beach! Spend the night in the sky en route to the USA! An optional supervised flight is offered – often from New York City. You are responsible for your transportation to the supervised flight departure city. Flight arrangements will be released in the spring. Families are also able to book their own tickets using miles or points that correspond to our supervised flight itinerary or book separate flight itineraries entirely and make arrangements to meet our staff in Johannesburg, South Africa. Learn more about our supervised flights. The group stays in several different types of accommodations, including 3-star hotels, a guest house, and rustic safari lodges in some of the most beautiful African scenery you can imagine. When booking our accommodations, we request for each teen to have their own sleeping accommodations in a shared living space. Each group is accompanied by a team of madrichim (counselors), a local tour leader and a bus driver. Staff names are sent out approximately 3-4 weeks prior to your departure as part of the pre-trip preparation email series. Staff are asked to make welcome calls to families before departure. Learn more about our staff team. July falls in the middle of the South African winter. Average temperatures range from 47˚F – 68˚F and rain is possible. It will be especially windy on top of Table Mountain and at the Cape of Good Hope – which can feel particularly cold. It is warmer in the “bush” (i.e. countryside), however, the bush gets cold at night. 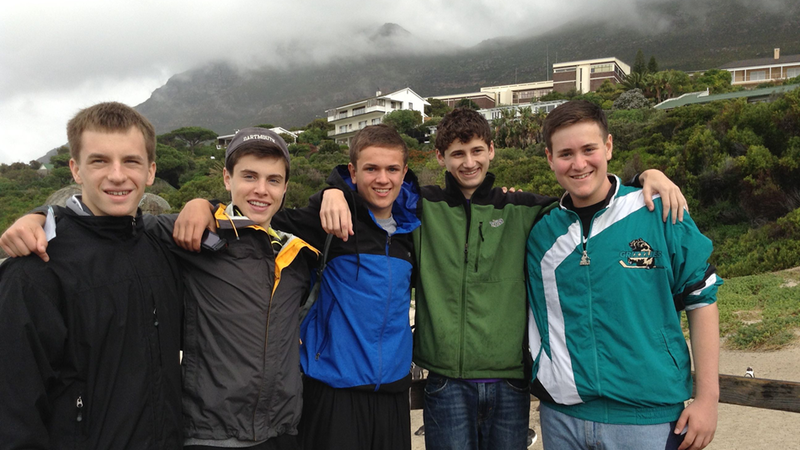 Although it varies from year to year, our average group size in South Africa is 18 teens. 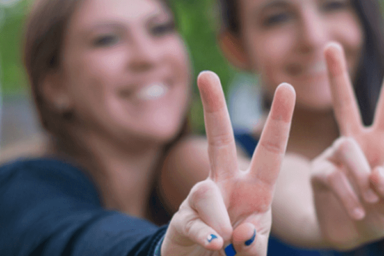 If you travel with an American, Canadian or EU passport – good news! – you don’t need a visa to enter South Africa. Does South Africa require additional documents for minors to enter the country? 1. Notarized and signed affidavit of consent from both parents (we will provide this form in the spring). For more information about the required forms please visit the U.S. Embassy & Consulate in South Africa website.